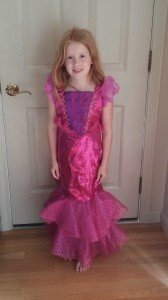 To facilitate this review I received an Enchanted Sea Princess Costume for my oldest daughter. She picked out this beautiful mermaid costume from the costumes pictured on Just Pretend Kids website. Once she picked out her costume she (quite literally) counted down the days until its arrival. 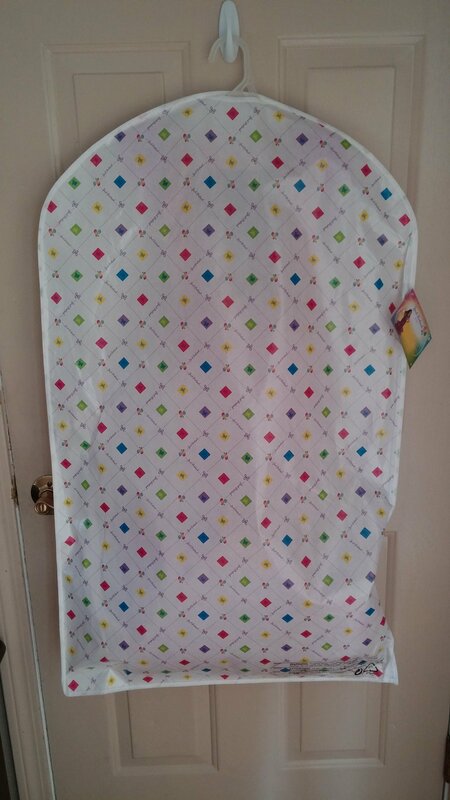 When the box arrived we, of course, immediately opened it and found her costume in an adorable Just Pretend Kids garment bag. It’s these kids of special touches that distinguishes Just Pretend Kids’ company and costumes. The costume exceeded mine and my daughter’s expectations. 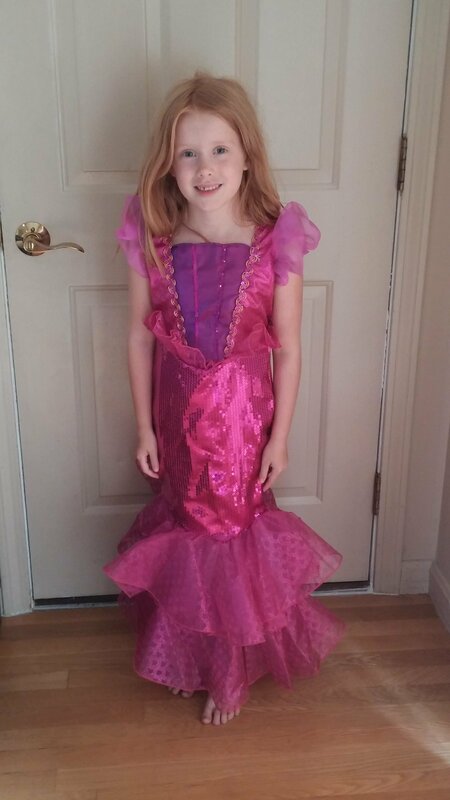 Her first words after seeing the costume were “Oh wow, it’s even more beautiful than in the picture!” It actually is even prettier than the picture and, according to my daughter, is very comfortable. 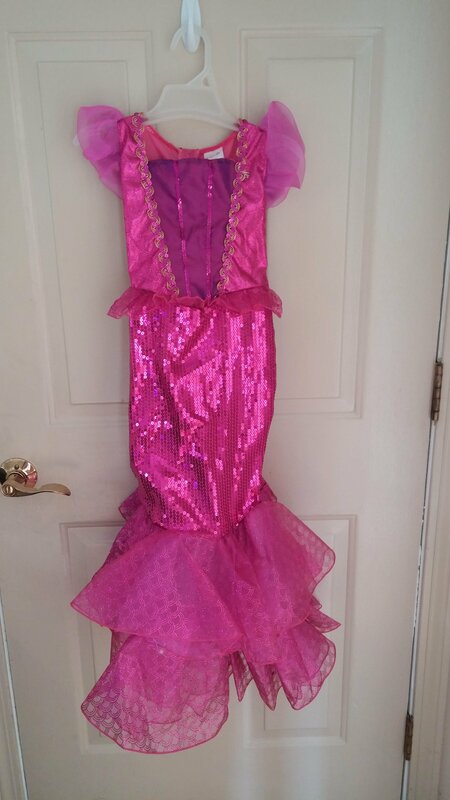 She absolutely adores her mermaid costume and would live it it…if I let her! As we approach Halloween please take a look at Just Pretend Kids and their costumes. 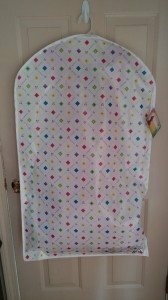 If you are interested in a Just Pretend Kids Costume please be sure to sign up for their email Newsletter so that you can get a 25% off coupon code. Enjoy!